Each year as spring fades to summer and the temperature rises the words 'cold brew' become part of our vocabulary. This wonderful refreshing drink opens the door to a number of creative variations. Everything from adding a shot of Bailey's Irish Creme, ice cream, or just some heavy cream are a few we have seen and shared with friends. 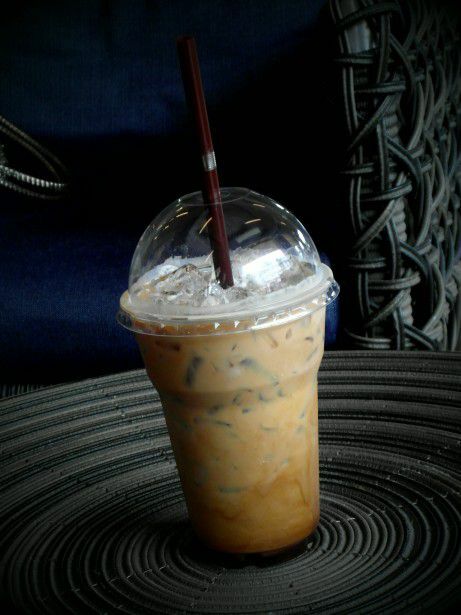 Cold brew is touted for it's low acid content which is milder on your stomach. 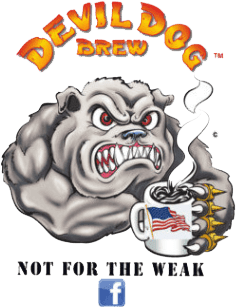 Devil Dog gives you even a milder cold brew because we start with our 100% Arabica Gourmet Coffee then we slow air roast the beans which produces a coffee with 30% less acid. 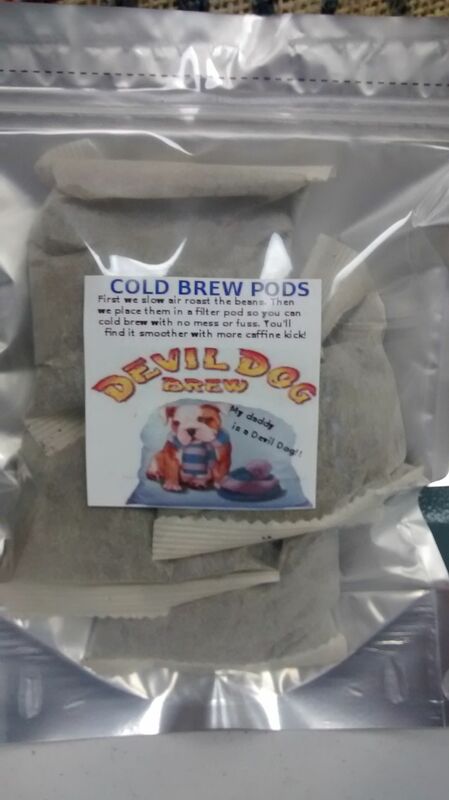 Devil Dog's cold brew doesn't require any of the 'fancy equipment' to create your cold brew. We have come up with a self contained 'filter pack' system which makes it quick and easy. All you need is either a glass coffee pot or a 'sun tea' jug which is preferred, to make up a large quantity. For a single pot serving just drop one of the filter packs in and add water. 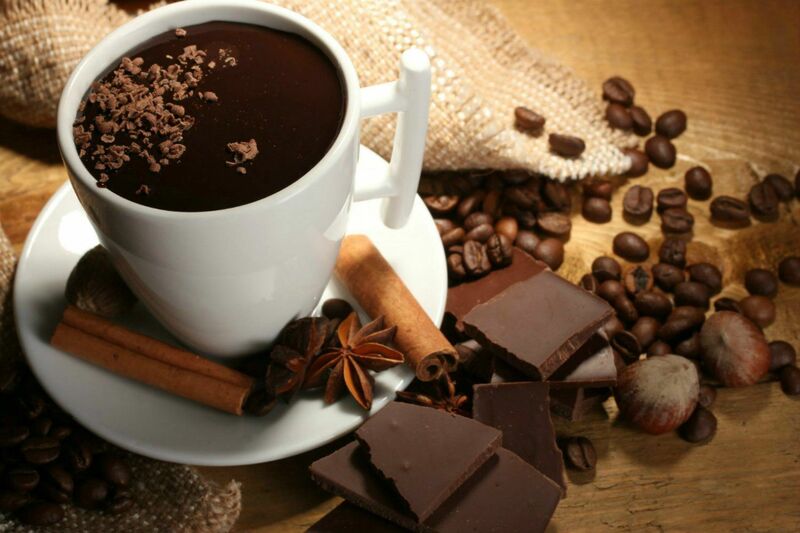 Let it sit on the counter overnight and enjoy in the morning. If you don't finish the pot that morning just pop it into the fridge and you're good to go when you get back from work. For the 'sun tea' jug pop in all four filter packs and fill to the top. Allow to brew for at least 12 hours and then place in the refrigerator and it will keep up to two (2) weeks. We suggest you fill some of those old ice cube trays with the brew place them in the freezer and use them as the ice for the next glass.